Yesterday was an amazing day at Cross Point as we celebrated the opening of our Nashville campus’ new building in downtown Nashville. 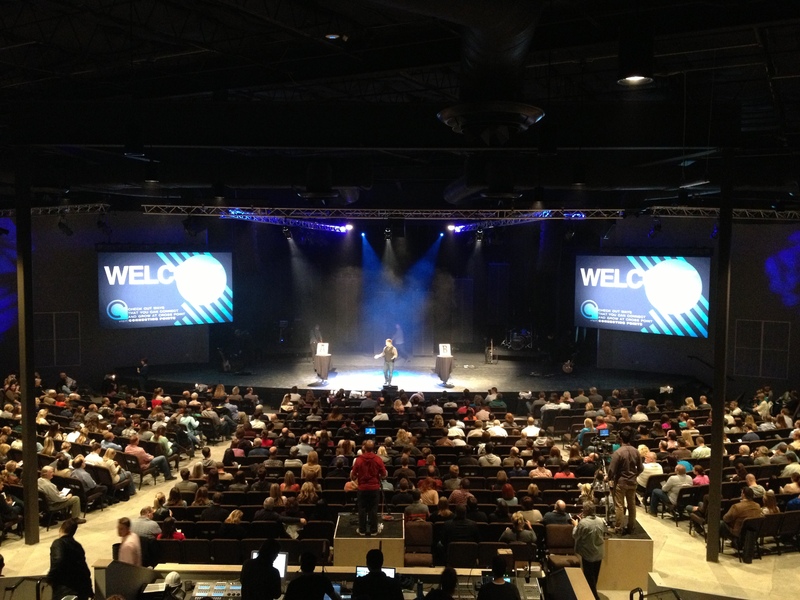 For those of you who are unfamiliar with Cross Point, the Nashville campus is our broadcast campus and has been leasing space from another church for the last 6 years. It was an interesting setup with Cross Point meeting in one part of the building, while the other church met simultaneously in another part. But it worked. As I watched the thousands of people stream in to the building yesterday, I was reminded that we have to work even harder now to provide opportunities for community and discipleship. While the new building is a beautiful tool, it is not the Church. What happens on Sunday in that building is just the spark of what God wants to do. We will kick off our next community groups semester in 3 weeks, and I am praying big that those thousands of people that walked into that building yesterday will now take the bigger next step of walking into someone’s home for community group. We believe that discipleship happens best in circles, not in rows. If we want to see the fullness of God realized, it will not be for just an hour on Sunday morning. I can’t wait to see this city transformed – house by house. Posted on March 25, 2013, in Uncategorized. Bookmark the permalink. 1 Comment. Great perspective. Crowds are easy, community is hard.